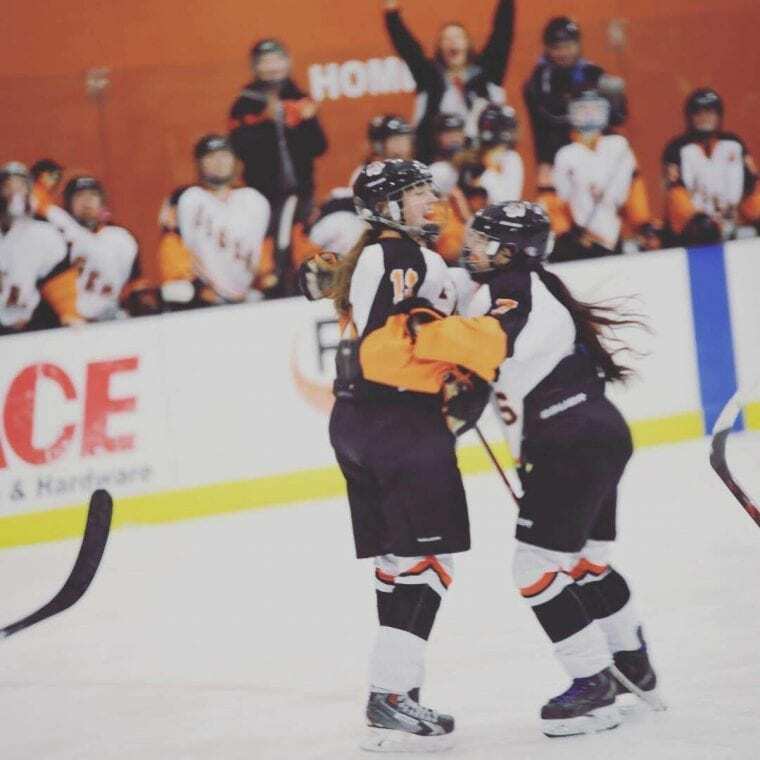 Introducing Women’s Hockey Life’s newest brand ambassador: Cassi Weiss! My Name is Cassi Weiss. I am from Marshall, MN. By day I am a marketing/event planner. By afternoon I live, coach and breathe hockey. I have played hockey since I was four years old and I loved every minute of it. When it was time for college, I decided to break up with the sport to go school for event planning/hospitality management. After two years of not doing anything, I started going to my town pick up league on Wednesdays, and met a ton of great people. From there they got me into coaching and I am now in my sixth year of coaching. In the six years I have coached Varsity Level (7th-12th grade) for six years and the last three years I also did 12 and under. I also work with Minnesota Hockey as a District Girls Rep in the southwest part of the state. I was lucky enough to live in a community/state where girls hockey was around and was stronger than ever. I am a huge fan of all women’s sports, especially hockey. And as a coach, I already am a huge ambassador for women’s hockey in the hockey community, but I wanted to make a bigger impact and I feel like this is the way to do that. I am really looking forward to joining another “team” with people who are passionate about the same things as me and with people who want to make a difference. I think as a coach I still have a lot to learn and I look forward to hearing from the other ambassadors. Winny Brodt Brown – She was my pre-season coach when I was in high school. She has so much knowledge and experience. It’s way too short. Live every day like it’s your last. My dream would be to have an equal opportunity for all girls—children to adult—in the game of hockey.